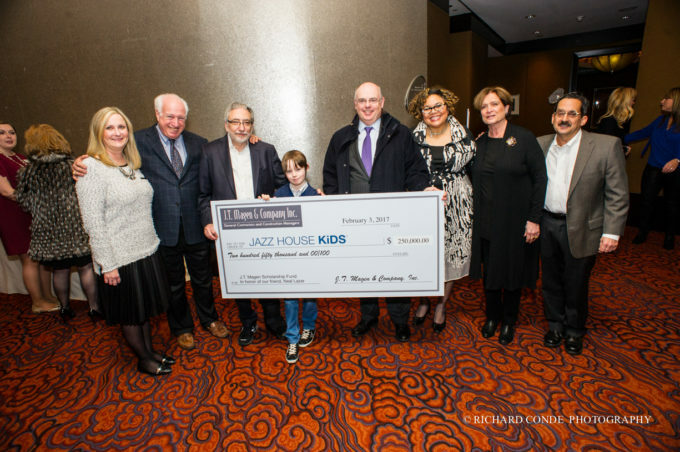 Established at the start of JAZZ HOUSE KiDS’ 15th anniversary in 2017, the J.T. Magen & Company General Support + Scholarship Fund will aid students of all ages, backgrounds and abilities, and help them develop as young people by using jazz as a life-changing tool. The Fund was established by Maurice Regan, President of J.T. Magen, in honor of his friend and colleague Neal Lazar, president of Manhattan Mechanical Contractors. Lazar is a longtime friend of JAZZ HOUSE KiDS (and, as of recently, a member of our board), a guitarist, and an avid guitar collector who knows firsthand the power of music to transform a child’s life and imagination.